A report published today by Kantar Worldpanel reveals the true potential for the worldwide FMCG e-commerce market. “Accelerating the growth of e-commerce. 2015 Edition” forecasts FMCG online sales will hit $130 billion by the end of 2025. Online’s share of FMCG purchasing in advanced e-commerce markets will double in the next 10 years and Kantar Worldpanel estimates the share of the online purchasing will reach 30% in South Korea, 15% in China and at least 10% in the UK and France. Taiwan FMCG e-commerce market is also expanding continuously with household penetration up to 39% in 2014, the second biggest globally. Digital lifestyle has become the emerging trend for households. With growth of 28% globally in 2014 alone, sales online are rising, particularly in the world’s most advanced e-commerce markets. FMCG e-commerce grew at a faster pace in Asia with China being the fastest growing market (+34%) followed by South Korea (+22%). Taiwan also sustained by two digit growth (+17%) while overall FMCG market is stagnant (+1.1%), significantly outperforming to other channels. 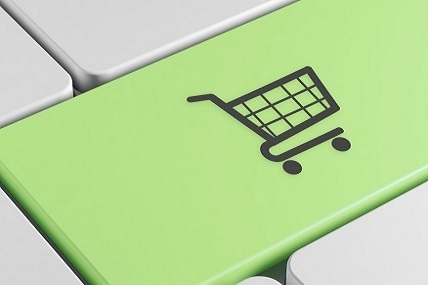 In Europe the FMCG e-commerce grew 20% in the UK and 12% in France. South Korea continues to be the country where FMCG online share is the highest, reaching 13.2% of the total FMCG market (compared to 10.2% one year ago). Taiwan accounts for 3.9%, being one of the leading markets globally. Huge promise: With only 1 in 4 shoppers buying online on a global level, there is enormous headroom for growth. South Korea is a great example of e-commerce potential becoming reality: 59% of South Korean households buy FMCG products online at least once a year, whereas Taiwan households achieve to 39%, the second biggest globally. In the UK, France and Spain, nearly one out of 4 households buy online but the UK supermarkets are trailblazing in building repetition. In the UK, households’ online purchase frequency is 14 times per year, which illustrates a habit of monthly online FMCG purchase. Valuable shopper profile: the typical profile is a family with young children, urban-suburban, middle/upper class. The online shopping households spent in each online trip significantly higher than each trip in the physical store. Taking Taiwan as an example, an average online household in Taiwan spends NTD1,092 per trip online compared to the NTD425 spent per trip in a brick and mortar store, 1.6 times more. Loyalty: the online share of wallet is already high. Online shoppers spend 23% of their annual FMCG spend in the same retailer in the UK, 20% in South Korea, and 16% in Taiwan. Yvonne Wang points out that the online FMCG market share in Taiwan did not break through 4% (3.9% instead) in the end of 2014, mainly because on the one hand, the brick and mortar channels such as CVS, supermarket and hypermarket in Taiwan are distributed in high density already. On the other hand, most of the e-commerce sold the products still in the traditional way – just simply moving the commodities from physical stores to online platforms, far behind the Korea or China who aggressively developed more creative shopper engagement events and sales promotions.